Electroencephalography is a noninvasive technique in which the electrical activity of the brain is recorded from the scalp to evaluate the function of the brain. It is thus complementary, rather than an alternative, to neuroimaging techniques. The differences in voltage between electrodes placed in different regions of the scalp are recorded and amplified. The polarity, frequency, amplitude, distribution, and changes with time of this activity are then studied to determine whether the findings are normal or abnormal and whether they suggest any particular type of underlying pathological process. Electrodes are placed on the scalp based on standardized, internationally agreed locations (the 10-20 system). '1 The potential difference between pairs of scalp electrodes (bipolar derivation) or between individual scalp electrodes and a common reference point such as the linked ears (referential derivation) is then recorded as the electroencephalogram (EEG) on moving paper or viewed on the screen of an oscilloscope. Recordings are made simultaneously from pairs of electrodes in an organized sequence or pattern termed a montage, which is generally either longitudinal or transverse in orientation. In longitudinal montages, recordings are made from electrodes in a sagittal plane; in bipolar derivations, recordings are between linked pairs of electrodes, whereas in referential derivations, the recordings are between each electrode and the reference point. In transverse montages, recordings are made from electrodes in a straight coronal plane. 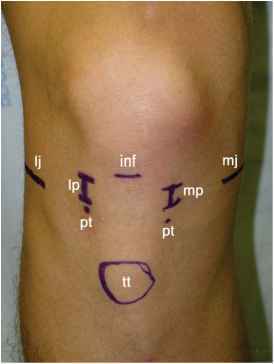 The recordings are then displayed in anterior-to-posterior or left-to-right sequences. For recording purposes, the input from each pair of electrodes (or from active and reference electrodes) is connected to the two inputs of a differential amplifier in such a way that the input from the active electrode is connected to input one and from the reference electrode (or, with bipolar recordings, from the more posterior or right-sided electrode) to input two. The recording arrangement is such that an upward deflection indicates either increased negativity at the electrode connected to input one or increased positivity at input two. It is sometimes necessary to monitor the EEG for several days in patients with episodic behavioral disturbances to record during some of the episodes and determine whether they have electrocerebral accompaniments such as occur with epileptic seizures. This can either be undertaken in a long-term video EEG monitoring unit in the hospital or, in some instances, by recording the EEG with an ambulatory cassette EEG system. The latter approach can be undertaken in the home setting and does not require continuous supervision by specialized personnel. Tapes last for 24 hours and can generally be reviewed in less than 1 hour. '3! The traditional method of EEG interpretation depends on visual analysis, which is subjective and very time intensive. Quantitative or automated (computerized) techniques for analysis are being developed but are not yet in widespread use for routine purposes. It is important to distinguish between cerebral activity and artifactual discharges of biological or nonbiological origin. Bioelectric artifacts include ocular, cardiac, respiratory, movement, muscle, and sweat artifacts. These various artifacts have characteristic appearances that facilitate their recognition. Artifacts may also arise from the equipment or electrodes and especially from variation in electrode impedance. Other artifacts may arise from the environment in which the recording is made, such as from other electrical equipment, intravenous infusion lines, and static electricity generated by nylon clothing. The electrocerebral activity recorded from the scalp consists not of action potentials but of the summated synaptic potentials from large numbers of cortical neurons. It thus reflects the summated excitatory and inhibitory postsynaptic cortical potentials. This activity is markedly attenuated by the skull and scalp and is therefore considerably greater when recorded from the cortical surface. Have you recently experienced hearing loss? Most probably you need hearing aids, but don't know much about them. 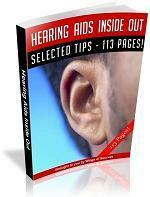 To learn everything you need to know about hearing aids, read the eBook, Hearing Aids Inside Out. The book comprises 113 pages of excellent content utterly free of technical jargon, written in simple language, and in a flowing style that can easily be read and understood by all.